Do you need more information? Have a question or a comment? Email us! We look forward to your feedback. 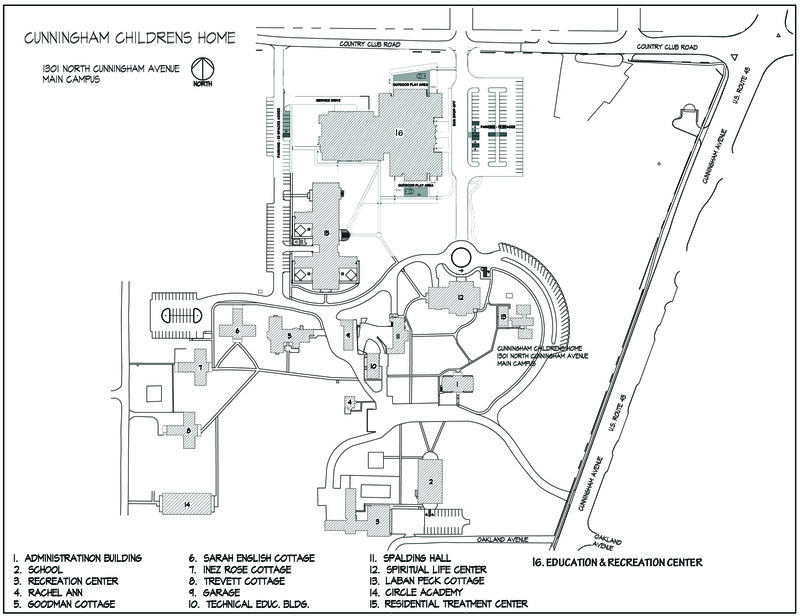 The Spiritual Life Center (outlined in red in graphic to the right) is located behind Cunningham’s Main Administration building (outlined in blue in graphic to the right). It’s spire is visible from Cunningham Avenue. As you proceed up the main drive, turn right at the first stop sign onto Sam Banks Honorary Drive. The circle driveway of the Spiritual Life Center is available for unloading drive-up donations. Parking can be found to the east of the building. together, we’ll change the course of our community.